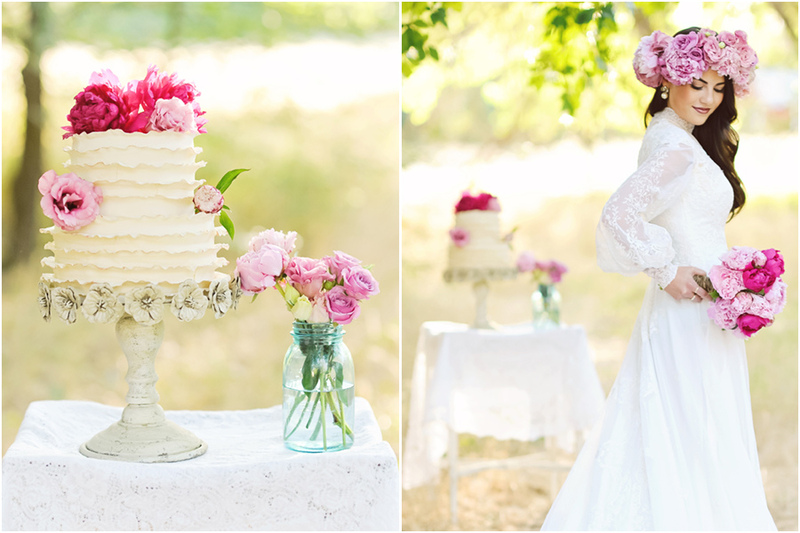 We collaborated on this vintage inspiration shoot with Heather Telford Photography. It all started with Heather's mother's vintage dress. The vision was a fresh and current vintage, one that departed from the muted colors often paired with vintage. To make it current we created a rich and overabundant floral crown that contrasted beautifully with Rachel's dark hair. Then to not take away from the crown we created an understated peony hand held bouquet. Heather's mastery over light produced a most dreamy and romantic scene.